Australia captain Ricky Ponting believes that there are no favourites to win the World Cup, but indicated that India and South Africa will be the teams to watch out for in the quadrennial extravaganza, starting February 19. "Who is the favourite right now? I am not really bothered, because a number of teams have the ability to win the Cup. In this sort of tournament there are a number of teams who can win. India and South Africa probably are the standout teams. They are the powerhouses of international cricket. "Pakistan and New Zealand are never too far away in ICC events. Sri Lanka, in these conditions, are as good an ODI side in the game around," Ponting said. Ponting also felt that results in the lead-up to the World Cup don't count for much. "I don't really care where we start the tournament. It's irrelevant. I think going into the last World Cup there was negativity around us. We lost the Commonwealth Bank series and lost to New Zealand. So there were a few doubts around our team, but we went there and won the World Cup. I don't think it really matters too much what's happening in the lead-up." But he is pleased with the team's 6-1 thrashing of England in the recently-concluded seven-match ODI series. "We are pretty confident coming into the World Cup, just beating a pretty good English side 6-1. We are really in good shape and confident... momentum is around our team. "I don't care who the favourite is. I don't know whether there is such a thing around in a tournament like this. 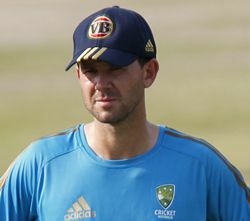 Ponting hoped his team would peak towards the latter stages of the tournament. "It would be hard to maintain your intensity throughout the tournament because of its length and gap between some of the games. You can't take anything for granted. We will make sure that we progress nice and steady and make sure that we play our best cricket towards the latter part of the tournament," he said. It is an accepted belief by now that Sachin Tendulkar, playing in his sixth and probably last World Cup, would give it his all to win the trophy, but Ponting hoped the script would turn differently. "There is no bigger stage than a World Cup for all of us to stand up and perform well. Sachin wants to have a good tournament and I am sure Sachin wants to win the World Cup, but, hopefully, it's not." The schedule has come in for criticism, but the long gaps between matches, Ponting felt, will give the injured players, which his team has in plenty at the moment, enough time to recover and attain 100 per cent match fitness. "Normally, most ODI tournaments you play you get a break of two or three days in between games, but here we have got seven or eight days between some of our games. We, at the moment, are carrying a few guys who are stiff and sore and are working their way into full fitness. 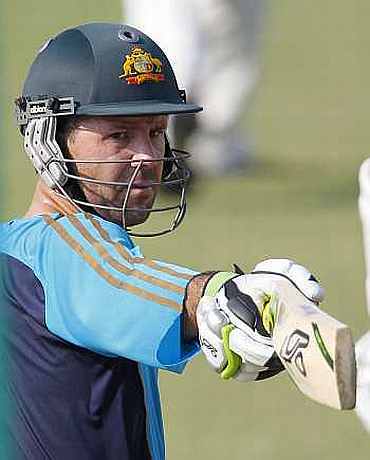 So it's a good thing for us to have time between games," Ponting said. "We have known that for a while. We are all very aware of that and that's international sport these days, unfortunately. It's all about managing workloads and managing players," he said. 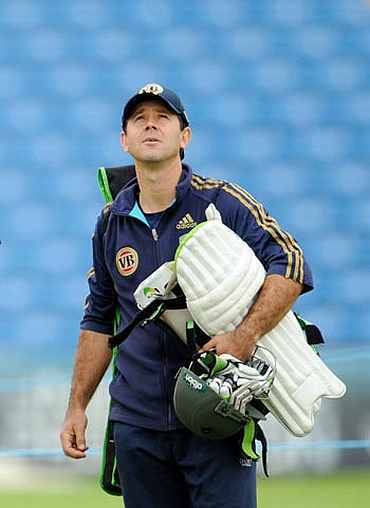 Ponting said the absence of Michael Hussey will be felt. "Mike Hussey is a big loss to our set up. His experience and knowledge of the game in a tournament like this are almost second to none. But it has given an opportunity to his brother David. "We had a couple of big setbacks in the last couple of weeks. Mike and Nathan Hauritz being ruled out from our World Cup squad. Shaun Marsh was the likely replacement for Hussey but he has been ruled out as well. "But Jason Krejza and Callum Ferguson coming into the squad in the last momentum is not negative for us. Krejza has done well in India in Test cricket. He is a guy who can be a real match-winning bowler for us." Australia have an enviable record in the World Cup, winning it a record four times, including once in the sub-continent in 1987. And Ponting, under whom they won won it twice, is aware of the benchmark. "I never thought what it means if we win the World Cup. If we got to the final, I might sit back and think what it means for me and for us to win another World Cup. But we can't afford to look that far away. My main focus is to train hard and play well. "There is no doubt that the Australian cricket team has a pretty good record in the World Cup and bigger events, but, as I said, we aren't thinking about it right now. We have a really good squad and we will be doing everything to the best of our ability. "Our ODI record in these parts of the world is pretty good," Ponting said. Asked about the mantra to success in the sub-continent, Ponting said, "For batsmen, it is important to make use of the new ball. It's important for the bowlers to execute their plans well in these conditions, use variations and variety. I think slower bowlers will play big part in the middle overs of the tournament." 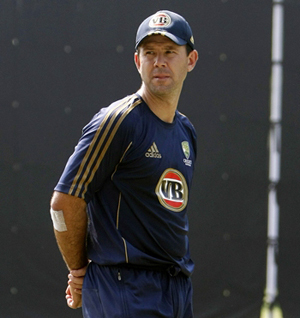 Much to Australia's relief, Ponting is recovering from a finger injury. "My finger is doing pretty well. I am looking forward to play in the two practice games against India and South Africa. "We have the opportunity to field all the 15 players in these games." Ponting seemed satisfied with the attack he has at his disposal and is banking a lot on them, especially Brett Lee. "I have been really impressed with Brett's comeback. His return to international cricket is very good and satisfying. With the likes of (Mitchell) Johnson, (Doug) Bollinger, (James) Hastings, Brett, (Shaun) Tait around, we have got a really good pace battery. There is no doubt that we are a bit lucky to have plenty of fast bowlers in the squad." 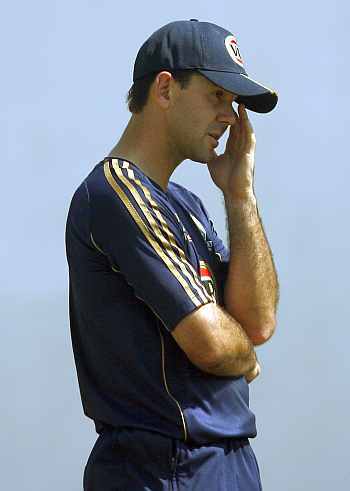 As far as Tait is concerned, Ponting said, "I just want to let him go, bowl fast and take wickets. We have great flexibility and balance as far as our pace battery is concerned. We have lots of options in our bowling department."